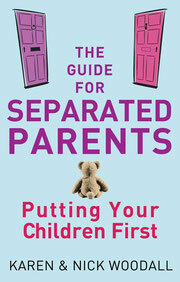 Information and advice for everyone affected by family separation to help bring better outcomes for children. Counselling services for children aren't always easy to access. However, the first place you might try is their school. Many schools have their own counselling service or are able to access one and refer on. It may also be possible to access support through your local Child and Adolescent Mental Health Services (CAMHS). Your children's GP should be able to point you in the right direction. Childline offer an excellent service and some children prefer the fact that they can access it from a distance. You can find out more here www.childline.org.uk or ring 0800 1111.